For 25 years, the Bright Ideas Education Grant program has provided necessary funding to K-12 teachers across North Carolina to fund creative, hands-on classroom projects. In 2018, North Carolina’s 26 electric cooperatives awarded more than $675,000 in Bright Ideas grants to teachers for 602 innovative projects that will benefit 149,177 students statewide. This marks the largest amount of Bright Ideas funding ever awarded in one year by the state’s electric co-ops. 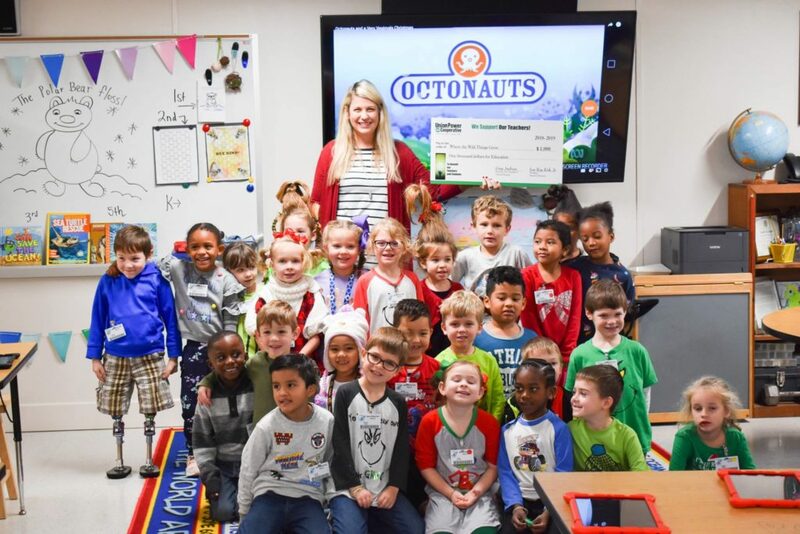 Weddington Hills Elementary teacher Kate Highsmith and her class celebrate receiving a Bright Ideas grant from Union Power. Bright Ideas has continued to grow since it began in 1994 at Brunswick EMC and expanded statewide. In total, more than $12.2 million in Bright Ideas grants have been awarded to teachers from the mountains to the coast since the program began. Thanks to these grants, a total of 11,699 innovative classroom projects have been made possible that teachers and schools otherwise may not have been able to afford. Bright Ideas grants provide financing for creative, hands-on projects in all disciplines, including music, art, history, language, reading, science, mathematics and information technology, just to name a few. North Carolina’s electric cooperatives will begin accepting applications for the 2019 Bright Ideas Education Grant Program in April. North Carolina K-12 teachers can learn more by visiting the In the Community section of our website, or at ncbrightideas.com.